A robot statue at the Eco Art Park Sentul City (West Java, Indonesia). It's a pity that there's no sign which tells more about this artwork. 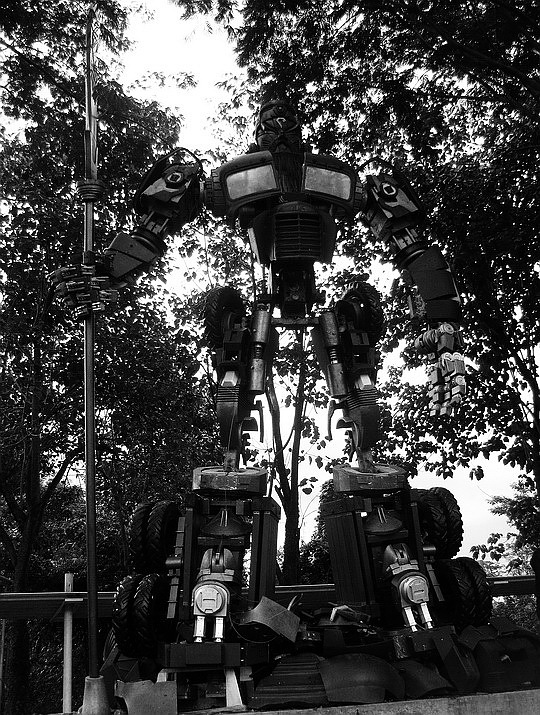 This robot made from auto parts. Somebody should know something about this. Nice composition and perfect in B&W! This is so cool and it looks very nice in monochrome. Have a wonderful weekend, Lina. A creative assembly of auto pieces! Certainly an artistic mechanical monster! What a fun sculpture to encounter. I really like this awesome robot in B & W.